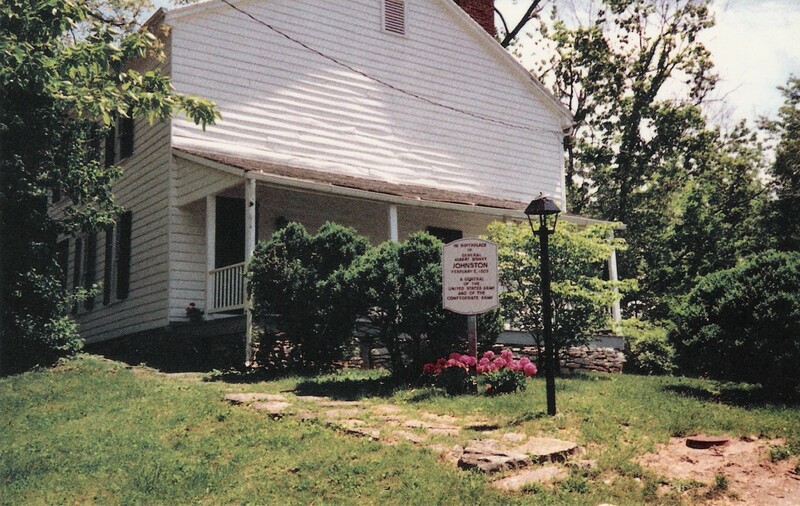 C 1797 childhood home of Civil War hero, Albert Sidney Johnston has been a museum in his honor since 1955. Born February 2, 1803 this Confederate General grew up in Washington, KY. When his father, Dr. John Johnston, moved to Washington the area had been settled only twenty years before and had less than three thousand inhabitants. Washington was a village of mud-daubed log huts in a rude stockade. The sources of food were hunting and planting with war whoops still sounding. The Indian fighter, Simon Kenton, still led his bands of Kentucky riflemen across the Ohio to keep the Indians away. Dr. Johnston, one of the few physicians in the country, soon had a large medical practice and was called on when other doctors had difficult cases. He had 3 sons by his first wife who died in 1793. He married Abigail Harris, who was to become Albert Sidney's mother. She was very pretty, intelligent, with a quiet, and gentle nature which Albert inherited. She had six children of which Albert Sidney was the fifth she died when he was three. Dr. Johnston married a widow with nine children of her own. The Johnstons were middle class as he had to spread his earnings to provide for so many people. Their fare and apparel were adequate but not luxurious. Kentucky molded Albert's character while he was still in his youth. Mason County had outgrown its rude beginning and was now a thriving community. Favored with rich soil, a pleasing landscape and energetic people Washington had the grace of a mature society. 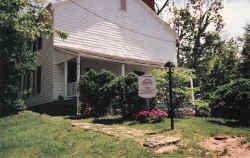 Washington was the county seat and was on the stage route from the port of Maysville to Lexington. Plantations flourished, elegant houses in the Federal style of architecture adorned the town and countryside. Lawyer-politicians led and served the area in national affairs. Henry Clay of Lexington led the state: John Chambers, Colonel Marshall Key, Judge Adam Beatty and the Marshall brothers were the leaders in Washington. Private academies trained the children who could afford it. There were the Pillsbury Boy's School and the McMurdy Girl's School, which was known throughout the country with pupils from almost every state in the Union. Albert Sidney's education was sound. He attended a variety of private preparatory schools, mostly either in or near Washington. In 1818, at age 15, Albert entered Transylvania University in Lexington which was the outstanding college west of the Appalachians. He was conspicuous for always knowing his lessons. One of his companions there was Jefferson Davis. In the fall of 1821 he changed his major from medicine to the military. His father hoped he would give this up and enter the practice of law. 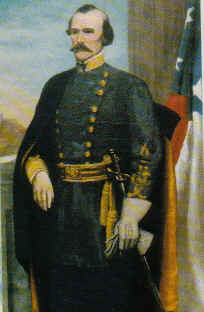 Albert Sidney Johnston arrived at West Point in June, passed the entrance exams and was admitted to the Corps of Cadets. Johnston was a gentleman, devoted husband and kind father; reared in the chivalric tradition of the Old South, he exalted womanhood as above reproach.. Those who served under him respected and loved him. He was referred to as "one of the most unselfish men I ever knew", "high-bred courtesy which gained him the affection of all who came near him," and "one of the most just and considerate to those under his command." The tragic death of Albert Sidney Johnston at Shiloh on April 6, 1862, was a great loss for the Confederates. Choose a good-sized catnip leaf, hold it along the inside of a water glass and severely bruise it with a spoon. Fill the glass with cracked ice and pour in whisky, (we recommend Kentucky bourbon), to within a half inch of the top. In another glass filled with waster dissolve two teaspoons of sugar. Add enough of this sugar water to top off the glass filled with whisky. Finally, stick in three sprigs of catnip with two to three leaves on each. Do not stir, just sip slowly.